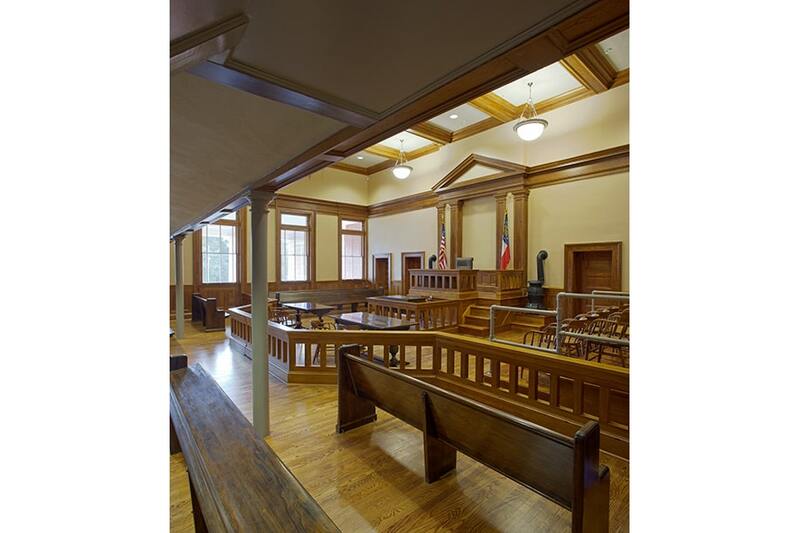 Scope of work consisted of the complete exterior and interior restoration of the original old 1908 courthouse. 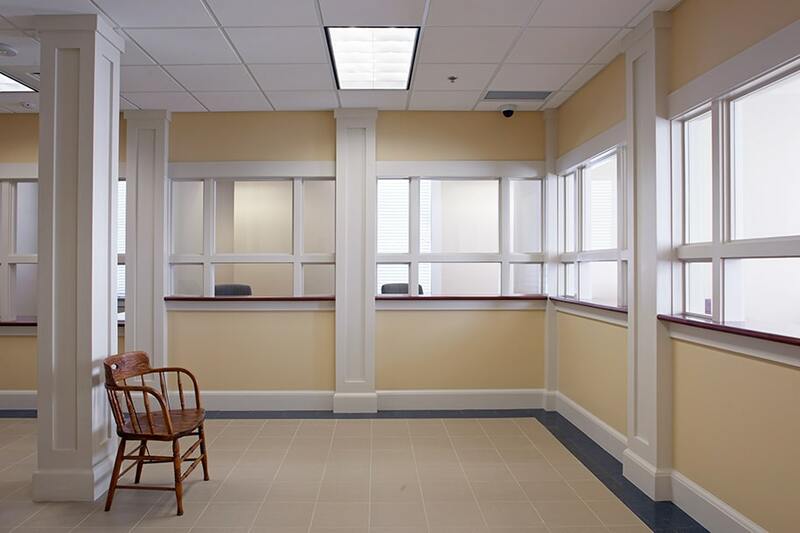 Due to the historical significance of the building, the design/build team of J.T. 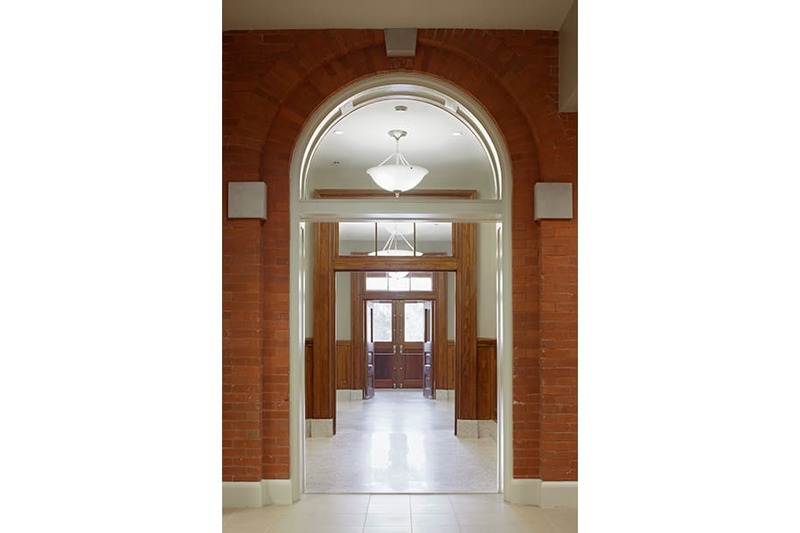 Turner Construction, Hussey Gay Bell and Greenline Architecture analyzed the architectural character of the building and followed the Secretary of the Interior Standards for Historic Preservation in renovating the structure. 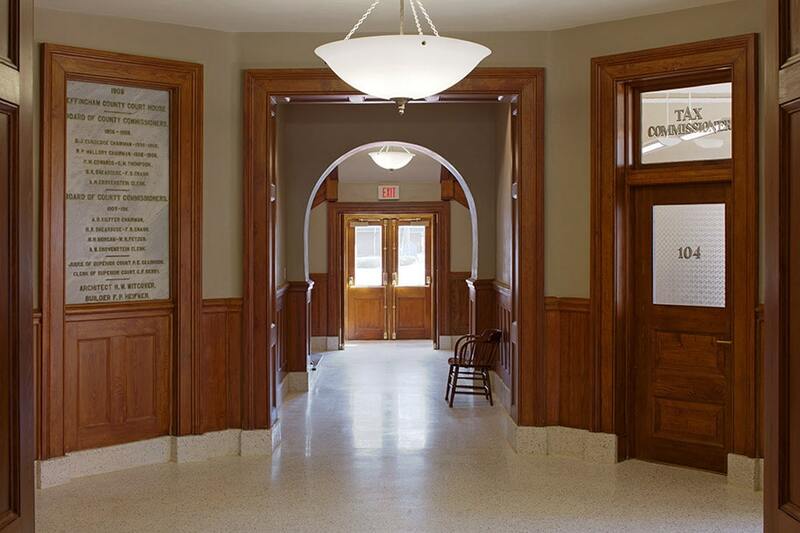 Much of the building, along with the courtroom, was restored to its original 1908 appearance. Exterior repairs included replacing the roof, minor repairs to the dome and decorative balustrade on the roof parapet, restoring and re-glazing all exterior windows, and re-pointing the masonry joints where necessary. 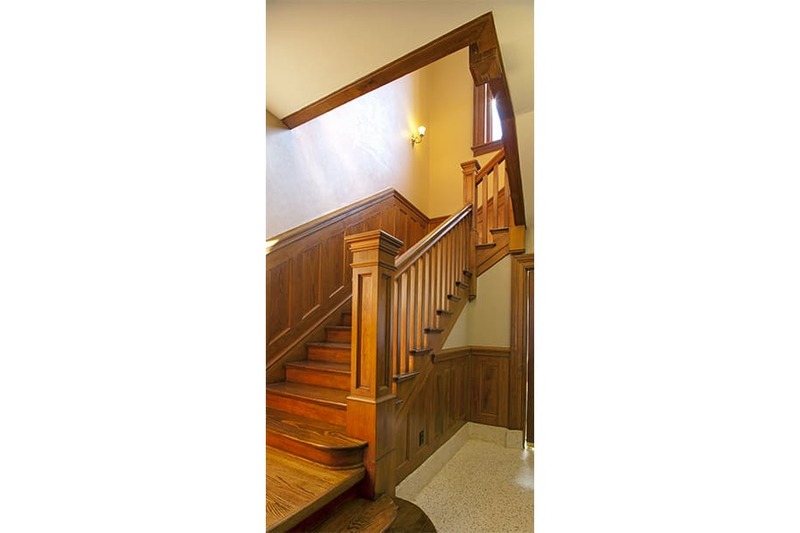 Interior work included restoring the interior to its original condition including the restorations of the original paint color restoration and the wood floors. The entire building was brought up to modern building codes, to include life safety, fire alarm, new elevator, fire sprinkler, and ADA accessibility and the state of the art plumbing, mechanical, electrical, data and communications systems. 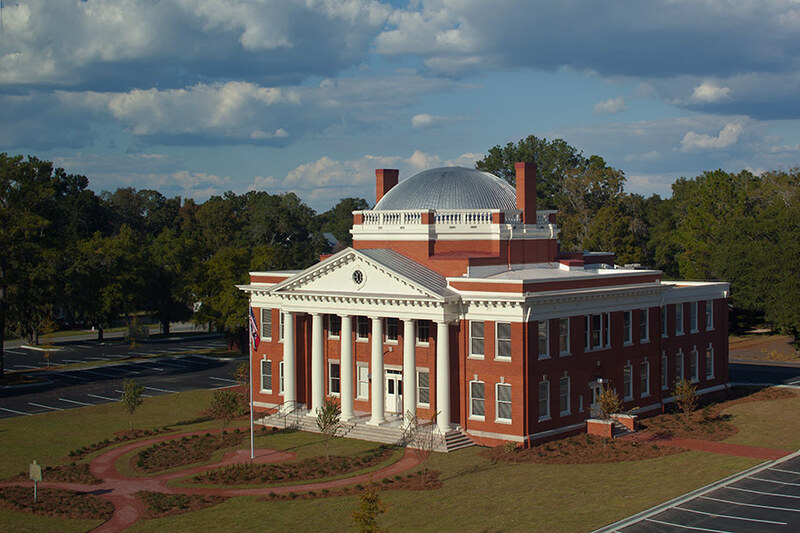 The courthouse is only one of 141 in the United States to be listed on the National Registry of Historic Places, a designation it has had since 1980. 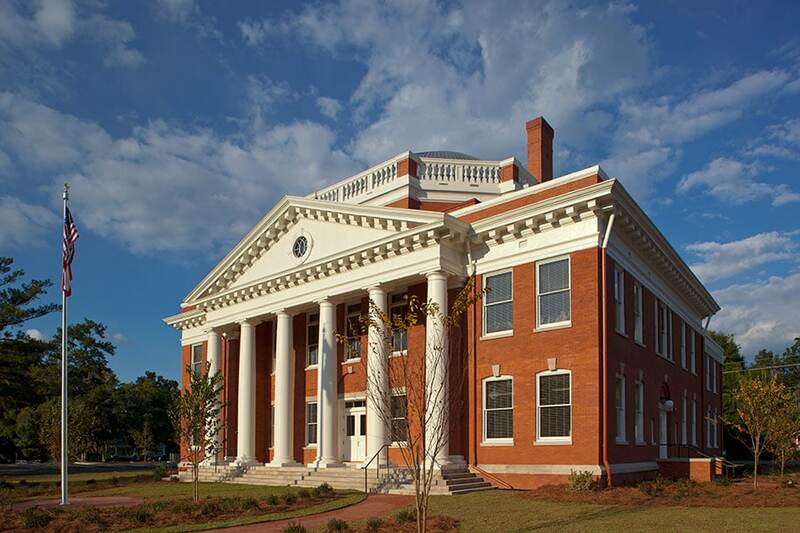 In 2011, the renovated building achieved LEED Gold certification with the USGBC and is a recipient of the 2012 Georgia Trust for Historic Preservation, Excellence in Preservation Award. Commissioned to be built in 1908 for no more than $30,000, the original courthouse was designed by noted Savannah architect Hyman Witcover to be built in the style of President Thomas Jefferson’s Virginia home, Monticello; 100 years later, through careful design, the renovation project breathed new life back into this original temple of justice.